This is a rectangular flange Galt Shingles porcelain sign. 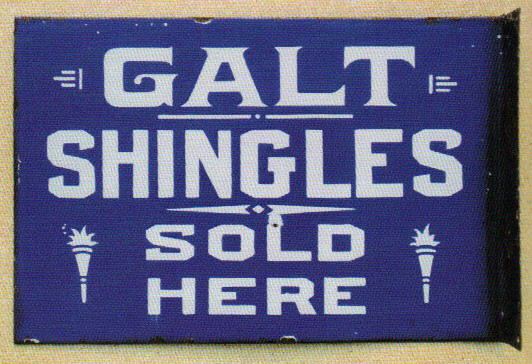 This particular Galt Shingles sign is blue with white print. It reads, “Galt Shingles Sold Here” and features two small white torches in each lower corner.